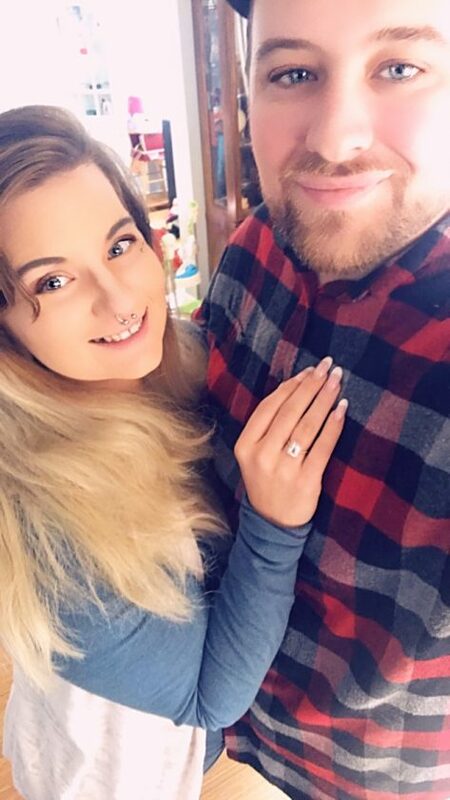 Carly Jennings formerly of Bellwood and Virginia Beach, Va., and Dan Lang of South Plainfield, N.J., are engaged to be married. Miss Jennings is the daughter of Brenda Jennings and step-daughter to John Watson of Duncansville. She is a 2009 graduate of Bellwood-Antis High School and The Greater Altoona Career and Technology Center. Miss Jennings attended Penn State Altoona, majoring in human studies and development; she is a 2015 graduate of Penn State Altoona, with an associate degree in letters, arts and sciences, and she received her Pennsylvania certification in medication technician while working for 10 years in nursing. She is a program assistant for UPMC at the Adult Center For Exceptional Learning, Lakemont. Mr. Lang is the son of Jeff and Karen Lang of New Jersey. He is a 2010 graduate of South Plainfield High School and he was a student officer and 911 dispatcher before graduating in 2015 from York College of Pennsylvania with a bachelor’s degree in criminal justice. He is a support coordinator at Northstar Support Services, Lakemont. The couple reside in Blandburg with their daughter, Eleanor Louise. A June 6, 2020, wedding is being planned at La Ferme Rouge, Patton.